8-bit violin, special WFMU Marathon edition! from ranjit on Vimeo. I made this custom 8-bit violin for WFMU’s fundraising marathon. Pledge to support WFMU before 9pm tonight for a chance to win it! $15/month or more gets you in the drawing. 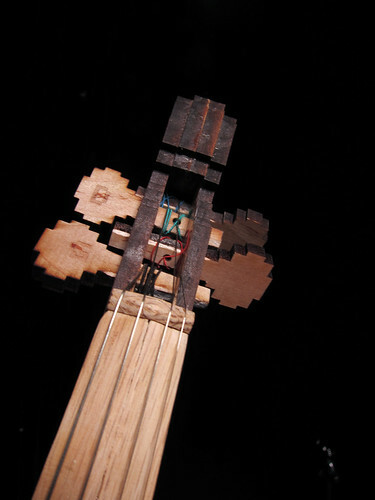 Instrument-a-day 8: 8-bit violin, special WFMU edition. Thanks to Patti Kilroy for making it go! 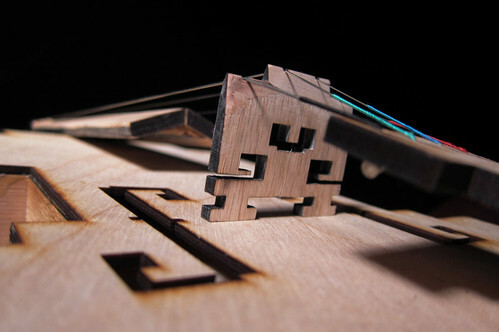 I designed the 8-bit violin during last year’s instrument-a-day. I ended up donating violin 0x01 to Flux Factory’s fundraising auction. I made this one, pretty much identical to the first, for and with the help of violinist Patti Kilroy, who tried it out for this video. This is the first time she’s played the finished violin! 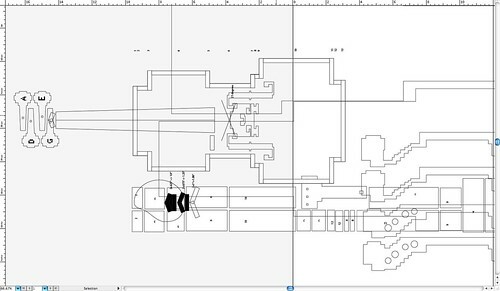 8-bit violin plans, originally uploaded by ranjit. 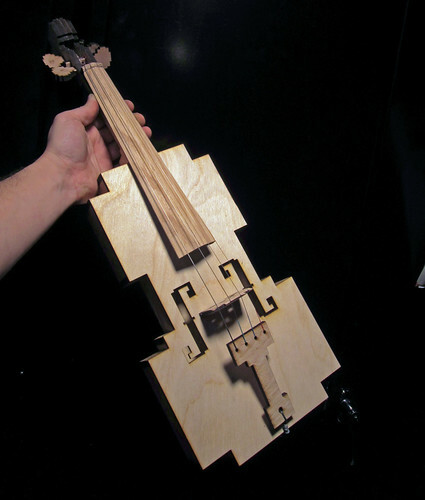 Plans and instructions for the 8-bit violin are now on thingiverse! A working violin made from maple and oak craft wood. The design is all 90 degree angles except the fingerboard. The tuning pegs are literally square pegs in round holes. The thing's tuned two half-steps low until it gets used to the tension. I hope to get all the designs uploaded to thingiverse soon – keep an eye on moonmilk.com if you're interested.